Our lathe-mounted Knurling Tool produces a fine (0.8 mm pitch) diamond-pattern knurl on stock up to 2" (50 mm) in diameter. 13 mm mounting bar fits the stock tool post of the MicroLux Mini Lathe and many other machines. 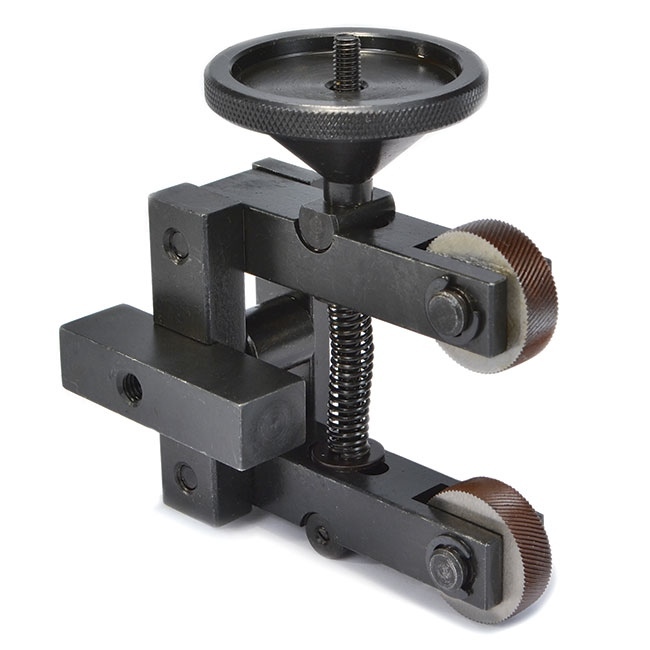 Tool is adjustable for various diameter workpieces and is designed to absorb the stress of the knurling operation without putting additional strain on your lathe.